Alright. 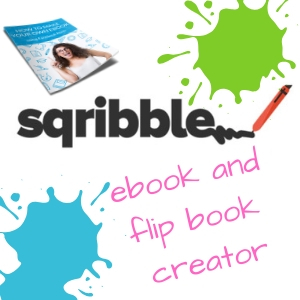 If you’re online – you need a blog kit. What’s a “Blog Kit” ? It’s a tool box of sorts created from experience, tools you trust and use often. And keeps you from seeking programs you don’t need. A Blog Kit you depend on regularly. You have a website . You want to promote what you offer and make money online. And you’re looking for programs to do this with, right? Your website is for the visitor – not you. Which means, you have to think like them – your visitors. In fact, think of yourself perusing the internet. What as a visitor to another website/blog are you looking for, attracts you. What holds your attention or not? What do you like about a particular website or blog? There are to many websites on the internet that visually look like a “Garage Sale”. They are full of Ads, promotions cluttering up posts and pages. Sure, one type of website can get away with this – like a “Magazine”, But for the average blogger, new or even seasoned most websites (my opinion) are a visual mess and confusing. My earlier websites used to be like what I mentioned above. But through observation, educating myself about website design (what the “big Guys” are doing) I’ve been able to implement some ideas by using the tools I already have and honoring what users want and thinking like a visitor to my own site. So your Blog Kit should first include a plan, an idea to follow – like an architect designing a home. Choose a blog theme that best portrays what you want to communicate to your visitors. I’ve used many programs, spent lots of money over the years, and finally whittled it all down to just what I need and like the best, based on what I want to achieve on my blog: Clarity, easy to read, visually appealing, and clutter free. . You don’t need everything. What Do You Want to Achieve on your website? What you want to achieve with your website will change as your interests change – blogs are always a work in progress. There are a SEA of products that do similar things and this is where you’ll want to explore. BUT be prepared to spend money testing them if you go that route. Or you cam trust my list and input from others you trust about what programs to use. What I use is listed below. If you have questions, just reach-out to me, and I’ll answer. First, think about what you need instead of what you want (lots of shinny objects out there). You’ll need programs to help build your presence and business online based on what you want to achieve. If you’re just starting out with blogging – never had a blog before, I recommend signing- up for a free blog account at wordpress.com. Here you’ll learn how to use the platform, build your knowledge and skills at having a blog. This is a great platform to “play” with and not be challenged financially. Then, if you’re really serious about blogging, owning your blog is the next step and a good investment. Because you own it, you can post anything you want on it – which you can’t do on free blogging platforms. You’ll need to invest in a hosting company for your blog. There are many hosting companies out there… be careful, some will “nickle and dime ” you for additional services that they say you need but really don’t. I’ve been using Dreamhost since 2005. They are straightforward, good support and service. They never crashed at any time and they’ve always responded to any problems I’ve had. You pay them annually and fee will depend on the service you get. I have a private server so it costs more. I only use themes from My Theme Shop. There’s an annual fee for membership which gives you the option to use ANY theme or plugin for no charge. They have everything you need – an excellent SEO plugin, shotcodes, and many more. The support is also very good. When you use one theme and the plugins made by the same company everything works well, seamlessly together. And, that’s a good thing! I have tried a few email programs … and stuck with Get Response. I LOVE Get Response! They are always updating there services and offer educational marketing videos, webinars, and articles on their blog. They have landing pages, a webinar platform, surveys, RSS feed, and creative web forms. The monthly service depends on the size of your email list. The fee increases as your email list grows by size. There are many funnel creation programs available. Some are costly like Clickfunnels. If you like uncomplicated, easy to use then I recommend Instabuilder. 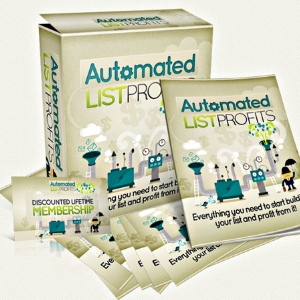 Instabuilder is a plugin and offers an affiliate program.. It’s easy to use. Pages are already designed and you can change the color, text, images, layout, add video, etc. They add new layout themes every month.I use this often. It’s affordable and support is good. 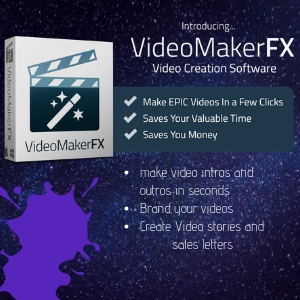 Video Maker FX – I love this program because it has numerous, remade videos you can edit. I use this program a lot to create intros and outros for my videos. Viddyoze – great marketing program. They have a huge collection of animated video clips where you can insert your logo or marketing message unto the videos. Keep checking back as I’ll be adding or removing product suggestions.